In the fall of 2018, I was lucky enough to work in Okayama University, Japan. Here, I was able to work in different companies or labs with each one focused on different areas. So far, I had worked in forestry sectors including forest management, forest ecology research, and carpentry. In this picture, you can see me using engine-powered chainsaw to cut trees in the forest. Besides, I also did forest measurement work, visited biomass factory, collected mushrooms, did fieldwork and wood products processing. 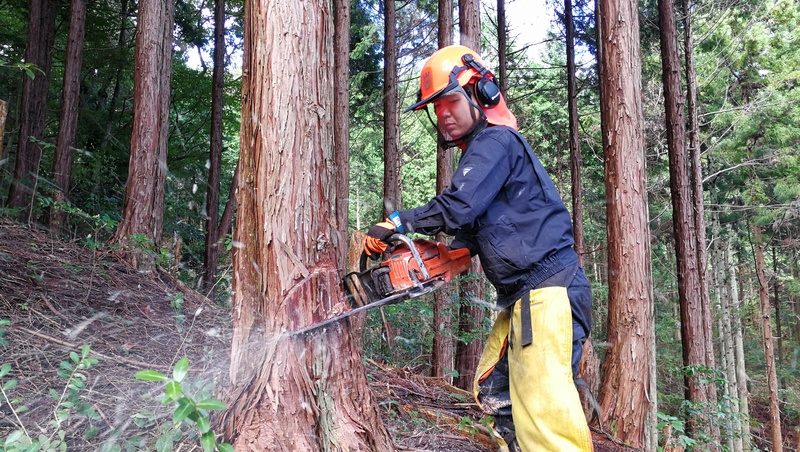 I strongly recommend students to apply for this job because you will not only be able to try working in different areas of forestry but also have a chance to experience Japanese culture and probably learn Japanese language by taking the advantage of staying in Japan. Choosing to apply for this job is definitely the best decision of mine this year.